Google is constantly changing and updating its apps to make the lives of its users easier. Google Maps is no exception, as the company now includes options for wheelchair accessible transportation routes. From now on, you can set a trip with accessibility as a priority with Google's popular transit app. While Google claims the feature is only available to a handful of cities at this time (London, New York, Tokyo, Mexico City, Boston, and Sydney), users on Reddit have pointed out the feature is live in their cities as well, in places such as Germany or Prague. 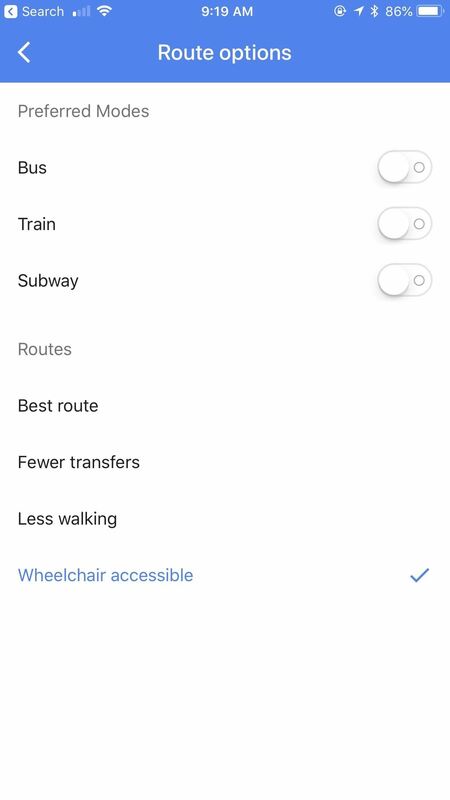 It appears that any cities connected to GTFS (General Transit Feed Specification) will have accessibility routes, since that system is where Google pulls much of their accessibility data. Google made wheelchair accessibility easy to find in-app. Just enter a destination in the search bar as you normally would, then tap directions in the bottom-right corner of the display. Next, select the "Transit" icon, then tap "OPTIONS." You'll find "Wheelchair accessible" at the bottom of this page. Tap on it, then go back one page to view your new, updated options. Depending on your city and your destination, your transit options may change slightly or dramatically. 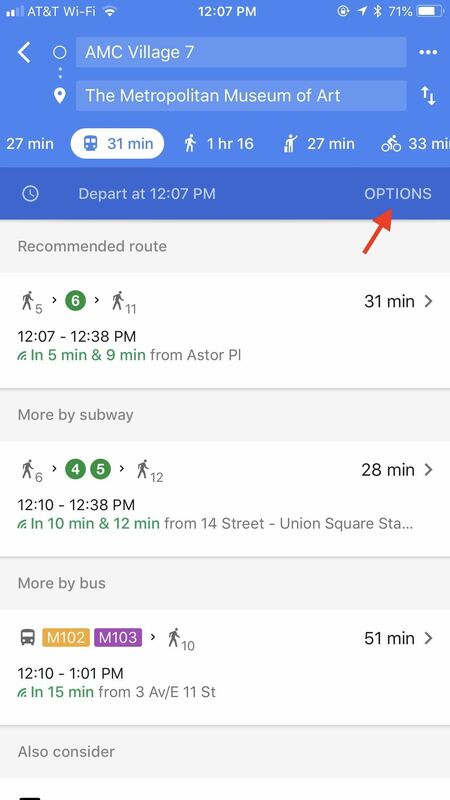 In the example above, Google prioritized bus routes for wheelchair accessibility over using the subway, but your experience may differ entirely based on what your area offers for accessibility. 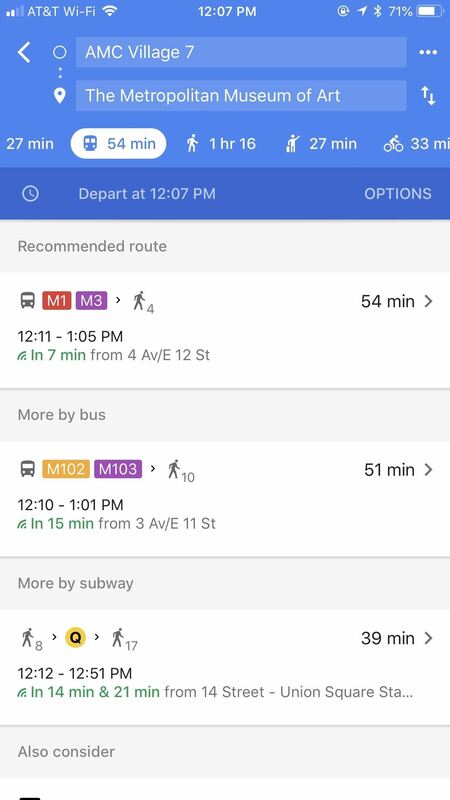 If your subway offers elevators, for example, Google Maps may prioritize that over a bus unequipped for accessibility. With these new accessibility features, unfamiliar areas will be a thing of the past. You'll know before leaving the house which route has the best accessibility options for you. Expect Apple to be hot on Google's tail on this one.